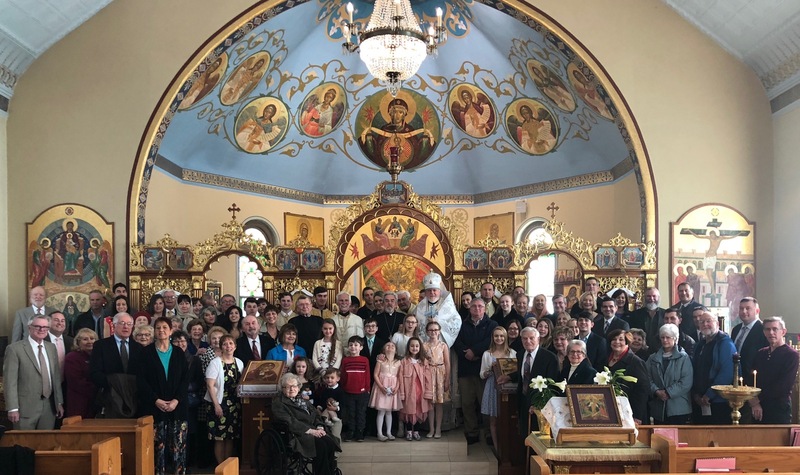 Welcome to the Assumption of the Virgin Mary Ukrainian Orthodox Church! 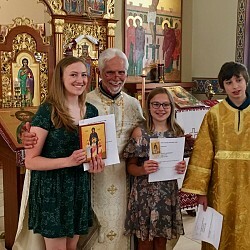 We are a parish of the Ukrainian Orthodox Church of the USA under the Ecumenical Patriarch of Constantinople and our doors and hearts are open to you and your family! Our church follows the Julian (Old) Calendar. 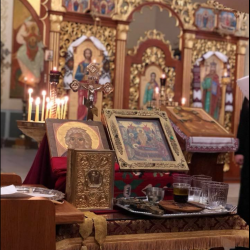 All Orthodox Christians are welcome and encouraged to participate in the Blessed Sacraments of Repentance and Eucharist. 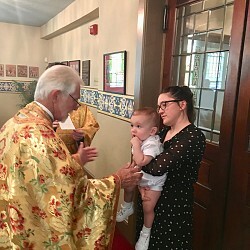 See the bulletin tab for all liturgical information regarding feasts and commemorations. Do you love God and desire a deeper union in Him through Christ? Are you moved by the beauty of traditional architecture, iconography, and liturgy? Do you love to experience warm, family-friendly fellowship, to hear good music and Christ-centered preaching, to participate in enriching adult education and to offer the same to your children? If so, then "Come and See" us! It would be a blessing if you could visit us and we encourage you to come back as often as you can. Perhaps you will find our parish to be your spiritual home! We are located at 1301 Newport Avenue in Northampton, Pennsylvania. Visit the 360° Virtual Tour of our church by opening the "360 Virtual Tour" page. It is a fully immersive, sharable virtual reality tour of our church building. Enjoy a glimpse of the beauty and majesty within our church. 5th SUNDAY OF GREAT LENT. TONE 5. (824). Virgin-martyr THEODOSIA of Tyre & Martyr IRENE (306). Ven. ILLYRICUS. JOSEPH the Hymnographer of Sicily (883). GEORGE the monk of Mt. Maleon. Martyrs THEODULUS & AGATHOPODES (303). Monk PUBLIUS of Egypt. PLATO, Abbot of the Studion (814). THEODORA, nun of Thessalonica. METHODIUS, Enlightener of the Slavs (885). ABDIESUS and 270 other martyrs in Persia (362). GREAT TUESDAY. Martyrs TERENCE, POMPEIUS, AFRICANUS, MAXIMUS, ZENO, ALEXANDER, THEODORE & 33 beheaded at Carthage. THE MYSTICAL SUPPER. Ven. BASIL of Parium (760). Hieromartyr ZENO, Bishop of Verona (260). Ven. ISAAC the Syrian, Abbot of Spoleto (550). 6:00 PM VESPERS & PLACING THE HOLY SHROUD IN THE TOMB. ALL NIGHT VIGIL AT GRAVE. THE BRIGHT RESURRECTION OF CHRIST; THE PASCHA OF THE LORD.